A musicians guide to the Alexander Technique. A musician’s life is filled with many stressful situations: passing auditions, rehearsing and performing with difficult partners, sitting for long hours in uncomfortable chairs, going on stage to face audiences large and small, who may or may not be receptive to the performance they are presented. And yet many musicians are able to surmount these looming obstacles with grace and balance, to find satisfaction and artistry in their music and build productive and lasting careers. Indirect Procedures will guide you around these obstacles and along that path to becoming a balanced and successful musician. Based on the work of Frederick Matthias Alexander, this book is a thorough and practical approach to the issues of musicians’ health and wellbeing. 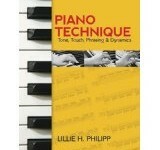 Author Pedro de Alcantara introduces concepts and exercises for musicians to let go of excessive tensions, stay focused, and direct their energies as they handle the challenges of practicing, rehearsing, and performing. 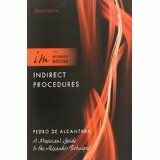 Complemented by an extensive, easy-to-use companion website, and working alongside Integrated Practice, this new edition of Indirect Procedures is an invaluable and essential resource for today’s musicians to learn to sing, play, and conduct with less effort and stronger results. Readership: College-level music students and their professors; professional musicians in any stage of their careers; ambitious adolescents; musicians who have health problems; music teachers in most settings; Alexander Technique teachers (of which there are a few thousand in the world). 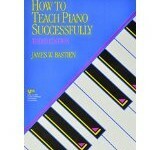 The first edition was profitably read by some non-musicians as well, and was adopted in a couple of theater courses.